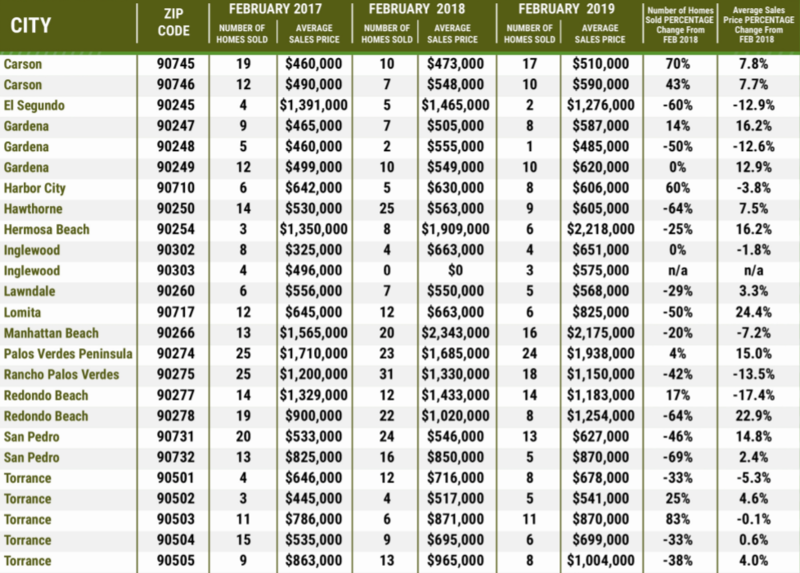 The real estate market in Lawndale and Gardena picked up a bit in February of 2019 compared with the previous year. Gardena saw 19 homes sale in February of this year compared with 19 the year before. Lawndale saw a slight increase of almost 3.5% in the average price of the homes sold over the year earlier. Hawthorne prices were almost 8% higher than in February of 2018.